The city of Athens invests in innovation by enhancing the local community to become a carrier of change and extroversion. In this direction, the City plans, co-finances and implements a series of European and national projects that empower the citizen and create better conditions in Athens. For this work, the municipality of Athens was awarded by the European Union as the "European Capital of Innovation 2018". The synAthina initiative, part of the vice mayor department for Civil Society & Innovation, was set up in 2013 to serve as a hub to bring together, to facilitate and to reclaim the groups of active citizens to improve the quality of life in the city. Strengthening citizens' actions, the City of Athens shapes a new understanding of the relationship between civil society and local government and cultivates a two-way and dynamic relationship between them. The Development and Destination Management Agency (ADDMA) supports the ongoing development strategic plan implemented by the City of Athens, to establish Athens as an attractive destination for its residents, visitors, investors, and entrepreneurs. Having as a goal the revision of city structures, ADDMA plans, implements, and manages development and pilot projects that address social cohesion, promote urban sustainability, and boost competitiveness and entrepreneurship, creativity and innovation. The National and Kapodistrian University of Athens participates in the program with members of the teaching staff of three departments: the Department of Education and Education in the Preschool Age of the Faculty of Education and the Departments of Philology and English Language and Philology of the Faculty of Philosophy. These Departments have extensive experience in European research projects on educational interventions in minority populations (www.museduc.gr) and have extensive work with refugee groups of adults and children for integration. Catholic Relief Services (CRS) was founded in 1943 by the US Conference of Catholic Bishops to assist the poor and disadvantaged overseas. CRS’ mission statement calls the agency to alleviate human suffering, advance full human development, and foster charity and justice in the world. CRS is one of the world’s largest private voluntary organizations, supporting international relief and development work in more than 100 countries and territories around the world, with offices in 64 countries. CRS Greece began working with Caritas Athens and Caritas Hellas in the summer of 2015 providing direct relief assistance such as food, medical care, hygiene, clothing, water, and counseling. Since July 2016, as the population became more static, CRS and its partners have provided temporary urban shelter in refurbished apartment buildings and multi-purpose grants to more than 17,000 asylum seekers living in Greece. All programming in the country serve a dual purpose - all initiatives should benefit both asylum seekers and host community, leading the program to focus on urban shelter, cash based support and integration. 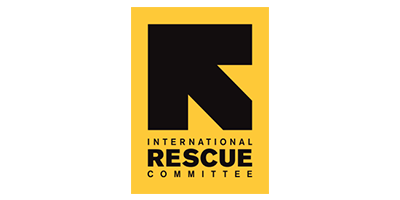 The International Rescue Committee (IRC) is an international NGO that responds to the world’s worst humanitarian crises, helping to restore health, safety, education, economic wellbeing, and power to people devastated by conflict and disaster. The IRC is present in more than 40 countries, providing support and protection to destabilized populations, victims of oppression and violent conflicts. In Greece, the IRC established its operations on Lesvos in 2015 and gradually expanded its programming in Athens and Thessaloniki. The IRC provides vital support and protection for refugees and asylum seeking populations either directly or in collaboration with Greek organizations and local government in areas such as infrastructure and health care facilities (including 24-hour care in unaccompanied children), access to mental health services and psychosocial support, and accessibility services.